How well do you know your stocks? Understand stock movement distributor-wise to your store with our inteligent reports. Our Cloud POS software will aid you to handle out-of-stock scenarios with efficient inventory, re-order, returns management features. You can also serve more customers with our online & offline billing options. 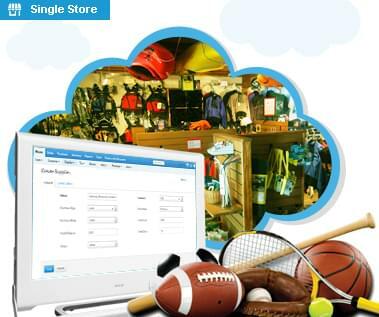 Our cloud based POS software has varied modules for handling every scenario of your Sports goods store such as CRM tools, financial accounting with GST reports, etc. You can also reduce your Sports Equipment shop pilferage through advanced inventory control.